In the early 1940s, the population of the city of Oak Ridge, Tennessee, was increasing daily as a result of the Manhattan Project and the world-changing production of nuclear energy. A small group of dedicated families in August 1944 agreed to start a second Church of Christ in the new and vibrant community built along the western section of Black Oak Ridge in East Tennessee. Highland View would eventually become its name, but at first the congregation met in schools where it shared facilities with a Baptist congregation. For six years Highland View Elementary School was used by the new congregation as a meeting place, and from it the church chose its name. Even before having their own building that was completed in 1955, Highland View was reaching out to start congregations in other areas in East Tennessee, starting first with Sevierville in 1946. 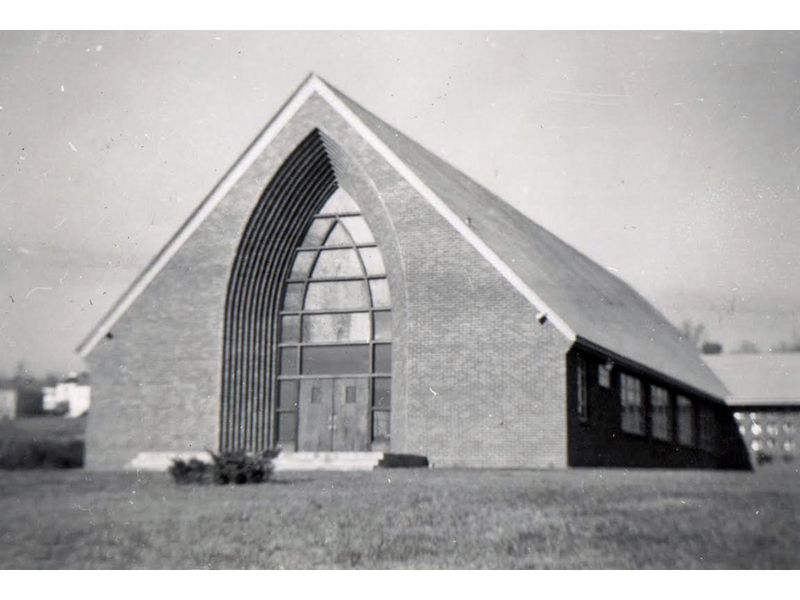 Before the building in Oak Ridge was completed in 1955, the Claxton and Karns churches were started through efforts of members from Oak Ridge. When the government made land available for church buildings, the location chosen by Highland View Church of Christ was on Providence Road just across from the Oak Ridge High School. This location remains the home of the congregation with the original building still in use. However, the facilities have been expanded over the years to add the Providence House that served first as the minister’s home and later as a multi-purpose facility housing the benevolence program and community counseling services. 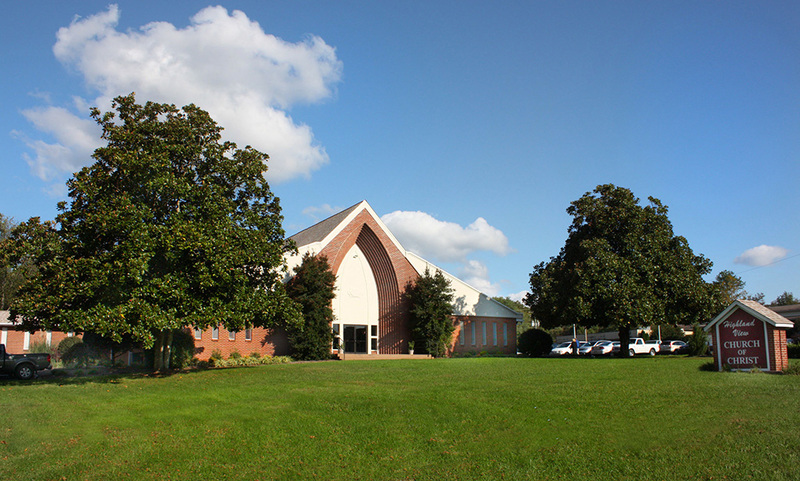 An education and fellowship building was added to the rear of the main auditorium, and the main auditorium was expanded significantly in 1995. 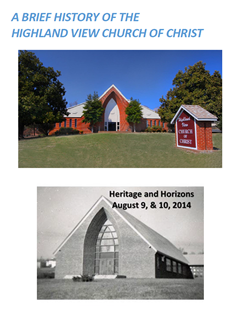 The congregation had a rich tradition from the beginning with mission efforts over the years to Greenville, NC; Port Allen, LA; Miami, FL; Bucharest and Bacau, Romania; Estes Park, CO; the Dominican Republic; Appalachia (Jellico TN); the Democratic Republic of Congo in Africa; and Asuncion, Paraguay. This effort ended in 2016 when budget considerations made this impossible. Outreach to the local community continues through a strong Youth and Family Ministry and a Small Group Ministry where family groups meet in homes and are encouraged to invite their neighbors, and a regular pulpit ministry that teaches God’s Word and invites the community to attend our assemblies. To celebrate the 70th year anniversary of the congregation's start, Highland View hosted a celebration in August 2014, inviting past and present members, former preachers and missionaries, and key supporters to reunite. Our theme for the year was "Heritage and Horizons" to acknowledge our looking back to shore up and found the future directions. During the weekend celebration, we shared memories, pictures, stories, food and made new friends and memories at the same time. Today, we continue to welcome visitors and encourage outreach to the community through benevolence, counseling, and a large variety of social fellowship functions. The congregation has an average attendance of 130 and provides a hearty welcome to visitors and potential members who come our way. Click the links below to learn more about the history of the church that meets at Highland View. Each will open in a new window or tab.